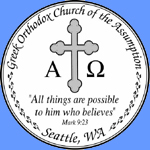 • Located in the Capital Hill district next to the heart of Downtown Seattle is the newly rebuilt Greek Orthodox Church of the Assumption Dining/Meeting Facility. • Beautiful vaulted ceilings, skylight windows and elegant paneled walls create a perfect setting for receptions, dinners, weddings, baptisms and numerous events. • Free parking is included with your event. Parish member prices are extended to active members (must have been a member for 6 months prior to their scheduled event date). 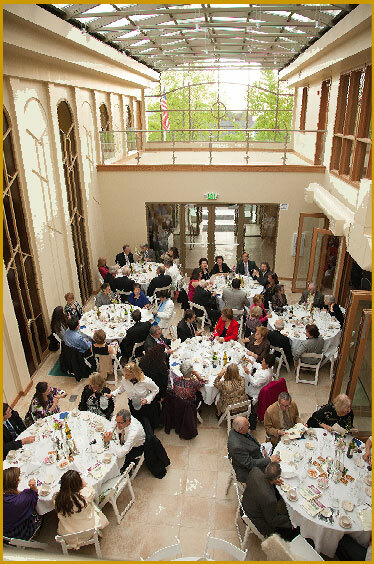 • The facility Dining Room comfortably seats 160 guests. 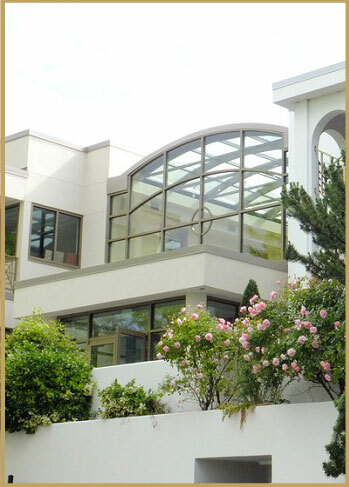 The Atrium adds another space for receptions, buffets or dditional seating. Free parking is included with your rental. The on-site parking lot is located next to the facility. Restrooms are located throughout the building. All scheduled events must cease by 11:00 PM — this includes music and alcohol beverage consumption. Guests should be off-premise by midnight. Clean up may continue until 1:00 AM, however all renters and guests must vacate no later than 1:00 AM..
• The facility will not be considered reserved until the mandatory deposit of guarantee is received along with a signed and approved rental agreement. • Each event be paid in full 90 days prior to the scheduled event (unless other arrangements have been made or the event is booked less than 90 days out). • We will provide a list of preferred caterers. If you would like to use a particular caterer not listed, the caterer will need to be approved by our events manager. All caterers must be licensed and insured.